Leaving home to outrun a hurricane is nerve-wracking. Being rescued after the storm hits is traumatic. For people with disabilities, evacuation can be even more complicated. 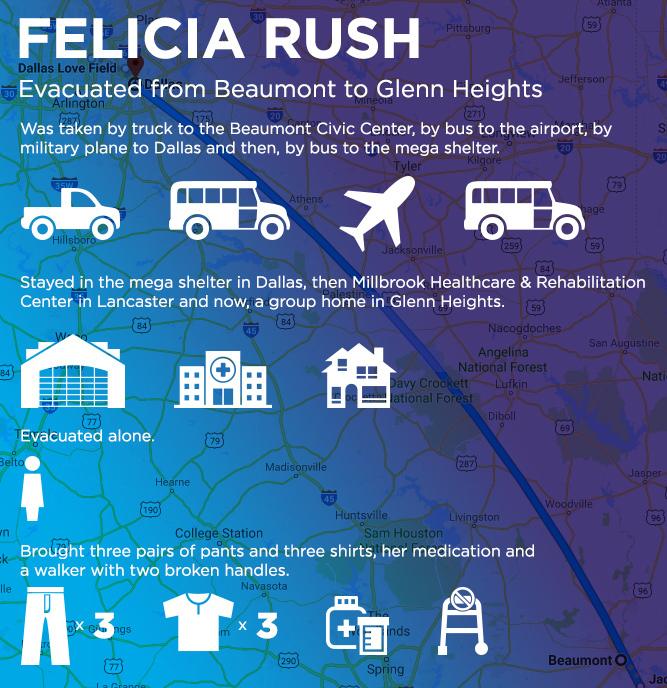 One evacuee, Felicia Rush, is trying to hold on to her independence — and start over. 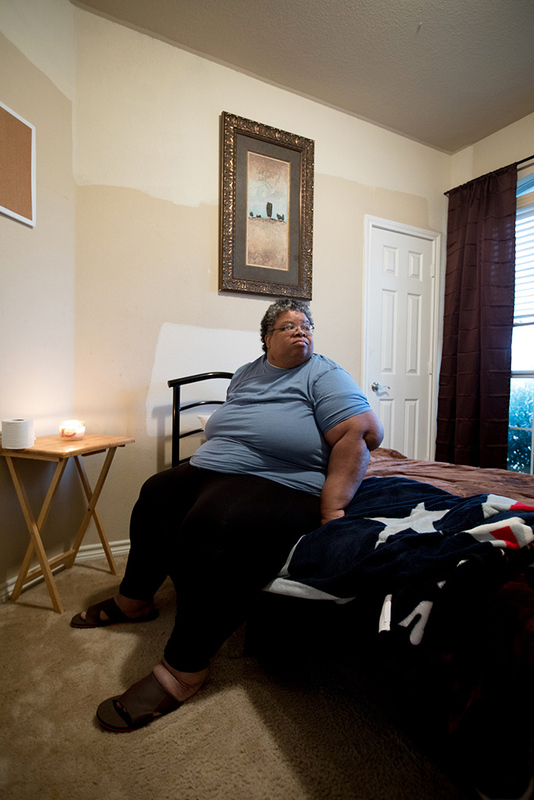 Eight adults live in a five bedroom, two-story home in Glenn Heights, just 20 miles south of Dallas. It’s what’s known as a group home. Everyone who lives here has to be able to get around, shower on their own and manage their medication. Felicia Rush, 52, has a room on the ground floor. Rush used to live alone, in a garage apartment in Beaumont. It wasn’t in great shape, and Rush has a lot of health problems. She has heart disease and diabetes as well as a bad back and bad knees. She weighs about 470 pounds, so getting up and down the stairs was a real challenge. When Hurricane Harvey hit, she was terrified. Rush had been alone in her home for two-and-a-half days before help arrived. It was too rainy for her to walk anywhere, so she just sat in the dark, listening to her refrigerator leak. She made it to the Beaumont Civic Center, with a few sets of clothes and her walker. Rush eventually flew to Dallas and ended up in the mega-shelter at the convention center downtown. She only stayed there for five days. She says it wasn’t a great fit for someone with disabilities. She lived at Millbrook Healthcare and Rehabilitation in Lancaster for three months. She was well-cared for and had everything she needed — except independence. That’s why she was so eager to move into the group home in early December. She says the caretaker supports everyone who lives there. Cynthia Pullen is that caretaker. She lives in-house, cooks all the meals, runs to the store and the pharmacy and coordinates doctor visits and physical therapy. She bought each resident three Christmas gifts, and sets her alarm every night to check on them. “At 2, 3, 4 in the morning, checking everybody, making sure everybody is still asleep. 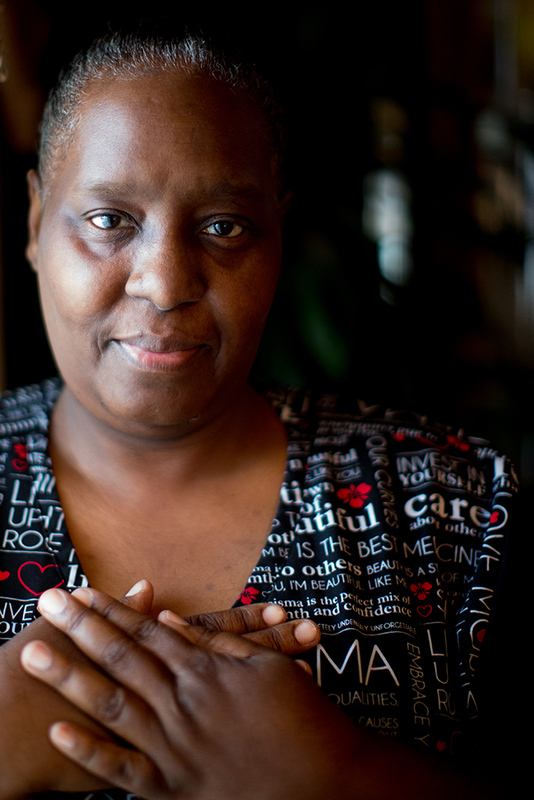 There’s no skilled care here, it’s simply a group home,” she said. While it’s not a residential care facility, Pullen’s background is in nursing, so she knows what her residents need. For Felicia Rush to be really comfortable, it’s going to mean getting some medical gear. “Her equipment that I need for her so very desperately is a hospital bed. A table to go across so she can eat. 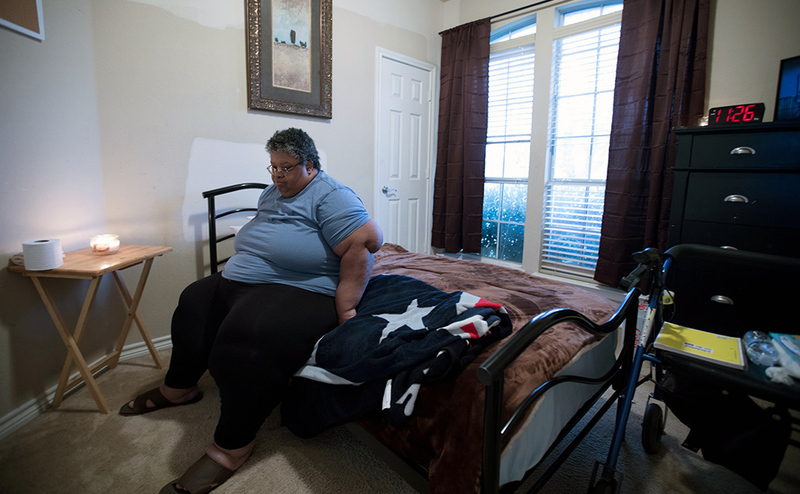 She needs a bedside commode that fits her body and she also needs a wheelchair,” Pullen said. Rush has been in the group home for a month now. She’s seen a doctor, but she’s still waiting on all that medical equipment. Pullen says Rush can get around with her walker, but it’s in bad shape, so outings are out of the question. “It is totally torn up. She has to really watch how she walks on it or else it will crack on her,” Pullen said. Rush is on disability, and gets about $750 a month. The group home takes 85 percent of that for room and board, so buying medical gear out of pocket isn’t really an option. 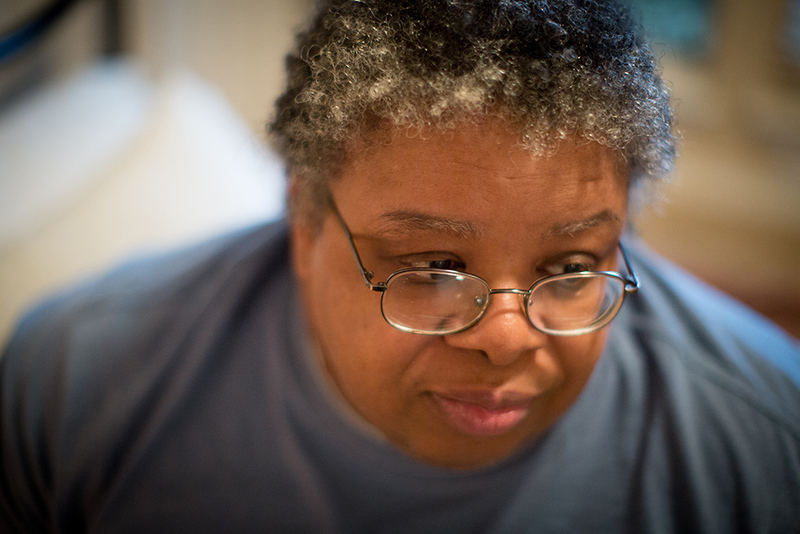 She says being low-income and disabled means learning to go without. Felicia Rush still needs equipment to assist her mobility, like a power wheelchair and a walker that isn’t broken. 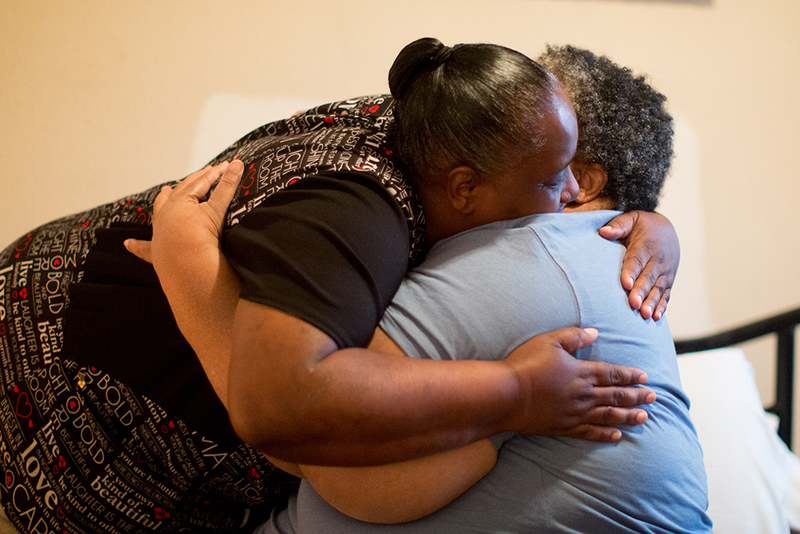 Meanwhile, she has social interaction within her group home and receives hugs from house manager Cynthia Pullen. Rush lost her mom back in 2006 and has never really recovered. She says she put on more than 100 pounds since then. She’s bounced around the country, staying with family, moving in and out of homeless shelters. It wasn’t a hard decision to say goodbye to that garage apartment in Beaumont. She could barely afford it. And she was lonely. She thinks she may have found something better. The group home isn’t perfect — she’s still waiting on a hospital bed and power wheelchair so she can sleep soundly and leave the house. She’s not scared that she’s going to fall down the stairs, though. Perhaps most important, she’s not alone. Rush didn’t have a lot of choices when the storm forced her from her home and pushed her somewhere new. She’s grateful for the soft landing.